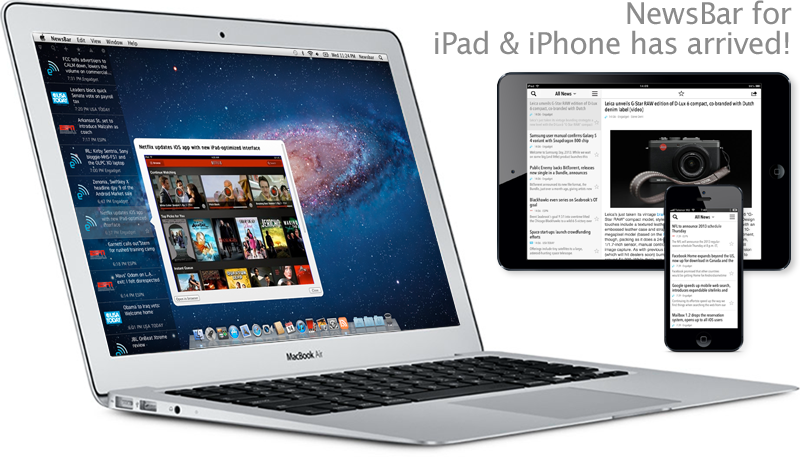 Rock your Desktop with NewsBar – the fast-updating iCloud newsreader! 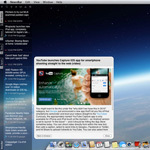 NewsBar is built with a fresh concept: news feeds delivered with a smooth animation, right to your desktop with automatic iCloud sync across all OS X and iOS Apple devices. 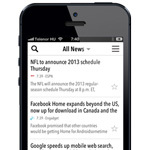 Converts any RSS and Twitter feeds into a realtime live news stream with categories, keyword watching and alerts. With a lot of adjustable settings NewsBar’s translucent background integration looks great on any desktop.